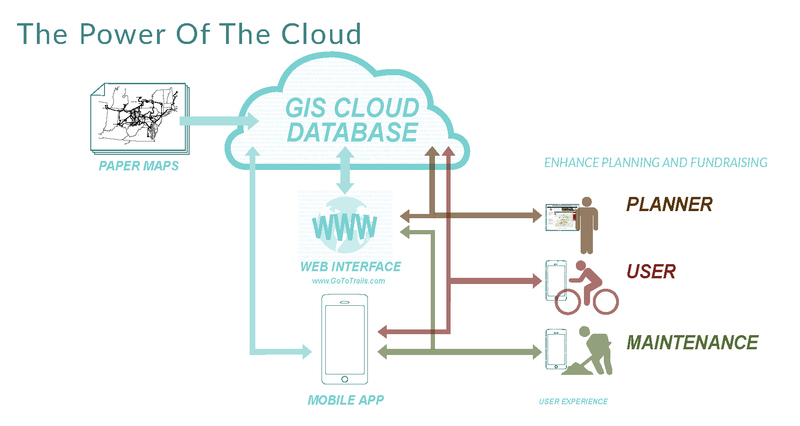 To develop a 1,450 multi-model trail network plan and to create a GIS database and online “cloud”. A product of the Power of 32+ Trail Planning Project, the second generation of the GoToTRAILS website provides a digital platform for interactive dialogue, engagement, planning and management of trail systems. By employing powerful online tools that can be used without industry specific software or specialized training in GIS or advanced computer skills, GoToTRAILS empowers local trail groups (often run by volunteers) to better plan and manage their efforts from regional endeavors to day-to-day operations and maintenance. 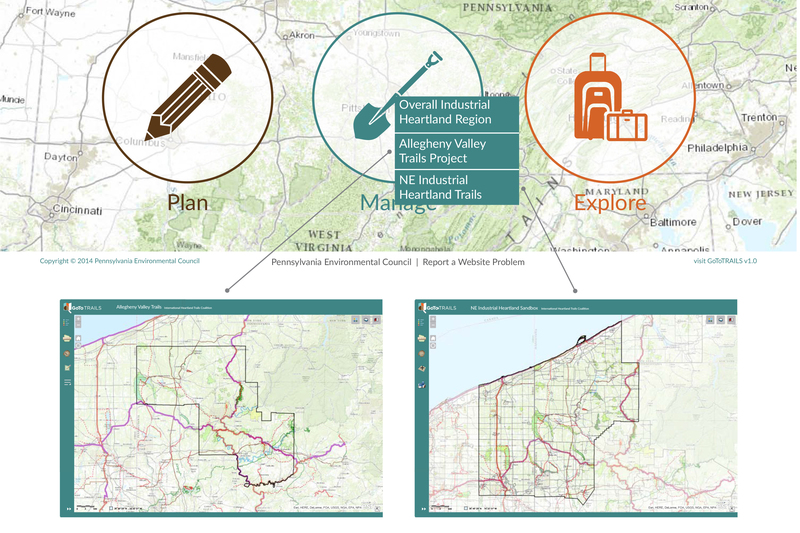 Originally developed to undertake regional trail planning in a five state area centered around Southwestern Pennsylvania, the functions and capabilities are flexible and scalable—allowing new groups to get involved and focus on their priorities while contributing data to enhance the overall system. This project started out as a simple question: “where are trail gaps in our region and why haven’t they been completed?” It has evolved into a tool to help many regions with similar questions to get engaged and moving forward. The website, built entirely by a team of landscape architects at EPD, followed a web development philosophy of quick development, understanding of failure/success and revamp/expansion. This is somewhat different from a landscape architect’s typical master planning process, but it has worked for the website development; the site is constantly improving based on learning what works for users and what does not.